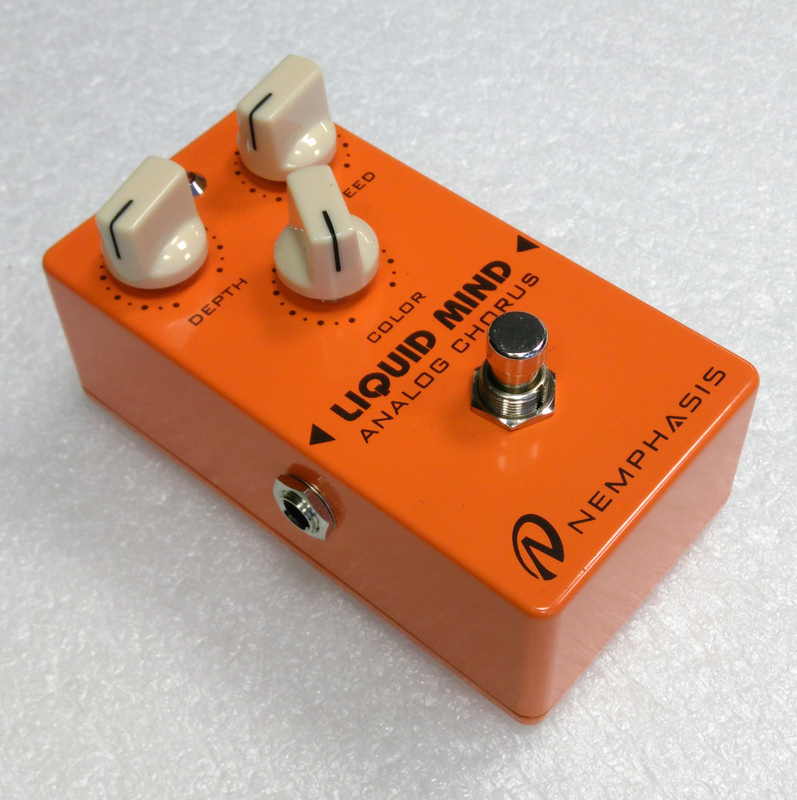 Liquid Mind, the analog chorus for guitar with an enveloping sound, smooth and never extreme, obtained thanks to the employment of a Bucket Brigade Device, accomplished with an accurate LF oscillator and a choice of the best electronic components available. Particular attention has been dedicated to the layout of the circuit with the aim of fully eliminating the sound of the “click noise” derived from the LFO. In addition to the classic controls of DEPTH and SPEED there is also the adjustment of the tone “COLOR” of the effected signal. 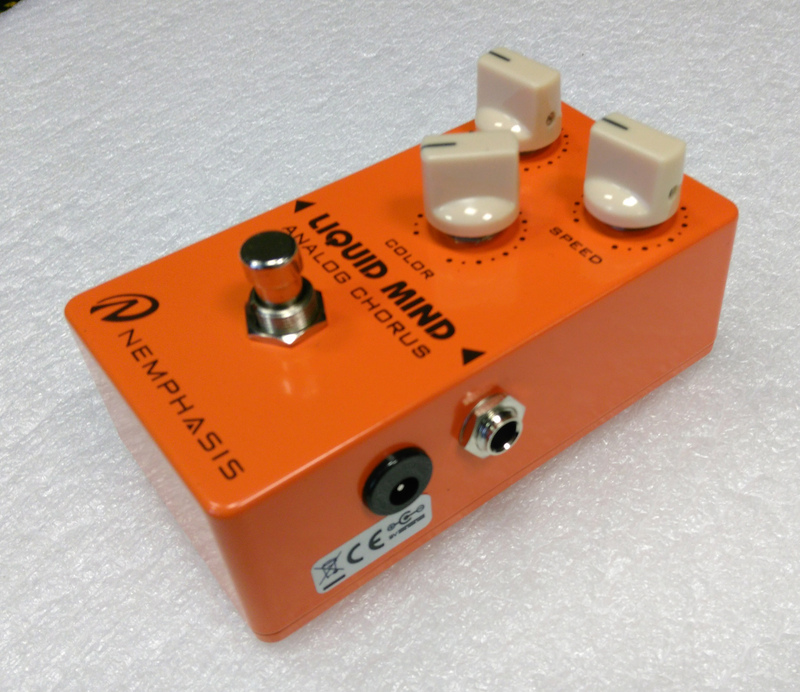 The Liquid Mind will give you that enveloping and dreamy sound that only an analog chorus can produce. Scrupulously searched out and selected electronic components. Jack input / output 6.3 mm 1/4″ on the sides. Three knobs allow depth, speed and color adjustment. The LED indicates the effect is on.If the supplied voltage is less than 7.5V the LED does not light up. No click /pop at effect activation. Power supply 9 VDC via battery or external power supply unit. Battery replacement is possible by removing the four screws on the bottom cover. For proper operation it is recommended to use batteries with voltage not lower than 8 V.
Weight (g): 250 (without battery).